I am not normally very ambitious when it comes to my midday meal. I graze all morning and then when lunchtime hits I just grab every vegetable I have in my fridge, pile it into a wrap, sandwich or salad bowl then top it leftovers from last nights dinner. So I’m not entirely sure what inspired my creativity and…dare I say it…vegetable restraint when I was whipping up my lunch today. Perhaps it was my lack of leftovers? Or the low sodium skipjack tuna I recently stockpiled after swearing off the unsustainable, high mercury stuff I get tempted by at the discount grocery store? Whatever it was I decided today was the day to bust out those rice paper rolls that have been collecting dust in my pantry for about three months now. This is what became of them. 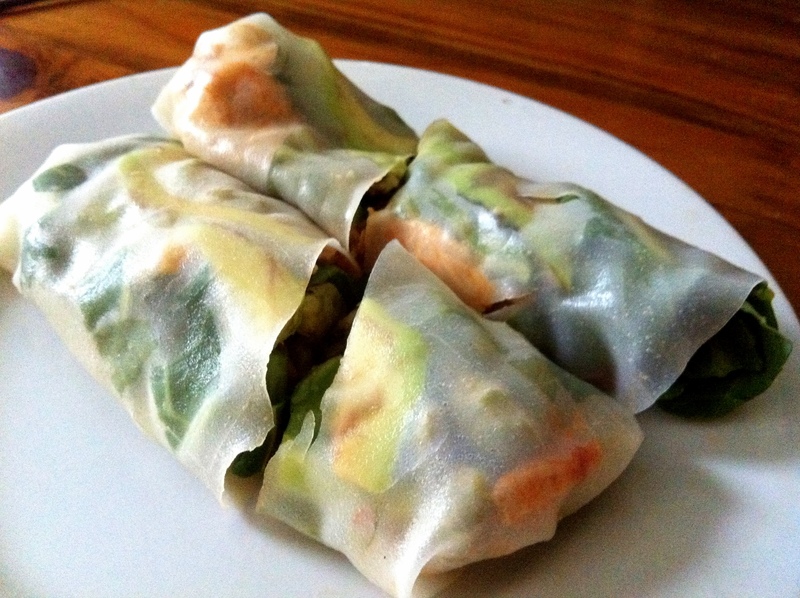 Soak your rice paper rolls according to package instructions. Make sure to pat off any excess liquid before assembling. Combine tuna, sesame oil, rice vinegar, soy sauce and siracha in a small bowl and set aside. 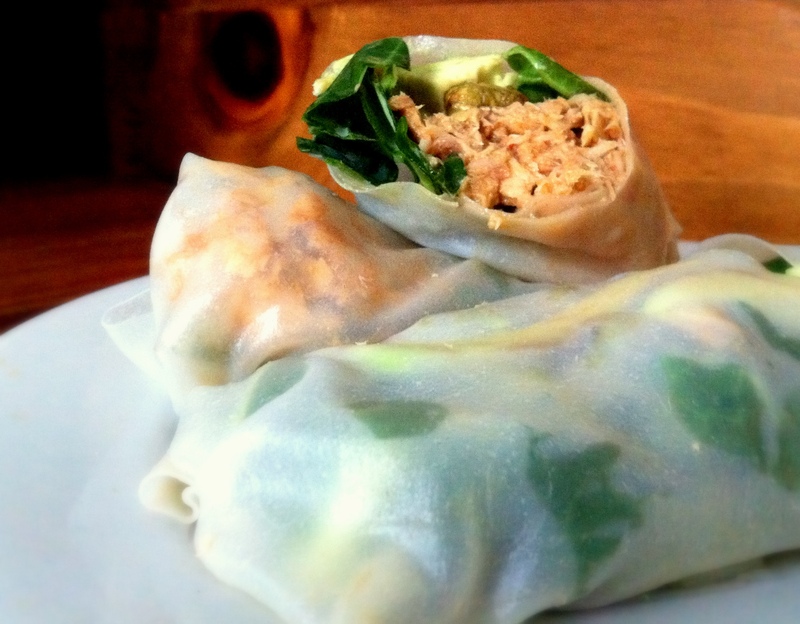 Carefully lay out 1 rice paper roll and add your avocado, greens, tuna & wasabi fillings. Make sure not to overfill each one and leave at least a few inches of room at the top and bottom. Finish off by folding over the top and bottom of the roll first, followed by the sides. Slice in half with a sharp knife and serve with extra soy sauce, black bean sauce, etc. Serves 1 as a meal or 2 as an appetizer or snack.